Get Off That Ship: Toooot! 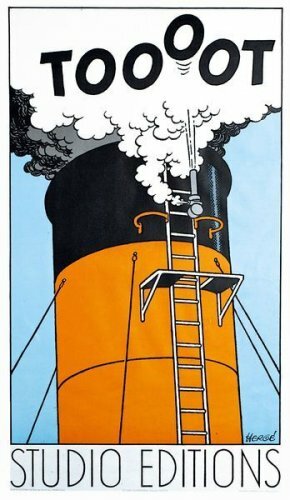 Upon reading Michael Farr's edited book The Adventures of Tintin at Sea – a must read for my project – I am being made very aware that the now iconic 'Toooot!' panel from the Karboudjan in The Crab with The Golden Claws. It has been referenced by many a graphic novelist over the years and it is a definitive tip of the hat to the man who initiated the Francophone school of thought with the comic. Catel & Bocquet's fabulous graphic novel Kiki de Montparnasse is the most recent reminder I've had of this.